Joe’s Crab Shack is a chain of seafood restaurants with a casual, on-the-beach feel. Founded in in 1991 and bought by the Ignite Restaurant Group in 2006, Joe’s has restaurants all across the United States. They are dedicated to creating a unique and memorable dining experience for every guest. 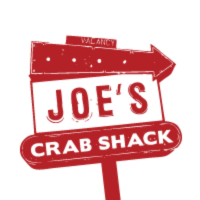 See the link below for the Joe’s Crab Shack Application. The first location opened in Houston, Texas in 1991. By 1995, the chain had three Houston locations and an additional Dallas restaurant. In 2006, the company now known as Ignite Restaurant Group bought the Joe’s chain for $192 million. Today Ignite, headquartered in Houston, operates the 138 locations in 35 different states. Ignite also owns the chain of Brickhouse Tavern and Tap restaurants. The goal for this company is to create the most unforgettable experience in the dining industry. Designed to make diners feel like they are on the beach even if they’re hundreds of miles away, Joe’s entertains customers with music, dancing, and great seafood. Ignite is also highly dedicated to creating advancement opportunities for all of its employees. A career at Joe’s promises both a workplace that is fun and exciting for the employee and a chance to bring a powerful and unique experience to each and every patron they serve. This, along with an employee-centric company philosophy, makes Joe’s a great choice for a place to work. See the link below for how to apply for Joe’s Crab Shack online. There is no printable application for Joe’s Crab Shack. There are job opportunities for everyone, from positions at one of the 138 restaurants to jobs for degreed professionals at headquarters. Those looking to apply at their local restaurant have many options to choose from. Customer-oriented Joe’s Crab Shack jobs include hosting, serving food to tables, and bartending. Jobs are also available behind the scenes, such as preparing food and handling dishes. Professionals of many different disciplines can find fulfilling Joe’s Crab Shack careers in the restaurant support center at headquarters in Houston, Texas. Since these positions are for the Ignite Restaurant Group, individuals will also be supporting the other brands that Ignite owns. Job applications are available for information technology, law, accounting, and marketing. How old do you have to be to work at Joe’s Crab Shack? You must be at least 16 years old to apply for jobs at Joe’s Crab Shack. For positions where you will serve alcohol, you must be at least 18. There are also physical requirements such as the ability to stand and walk for long periods and to lift up to 50 pounds. Employees have many benefits with this company. These include standards such as health, dental and vision insurance and paid vacation and holidays. Workers also enjoy a very flexible scheduling policy that accommodates those juggling work with other responsibilities such as school. Those working in restaurants will get significant discounts on meals and merchandise from the famous gift shop. Joe’s is open 11am to midnight, 7 days a week. This is standard across all locations. Below is a job description list for the most common Joe’s Crab Shack jobs. Host- The host introduces guests to the restaurant by greeting them at the door and showing them to their seats. Job responsibilities for the host include maintaining an upbeat and helpful disposition when interacting with guests, answering phone calls promptly and cheerfully, and making sure customers are happy with their dining experience when they leave. Hosts typically make $5-10/hour, $7 being the average. Server- The server takes the diners’ orders and makes sure they get their food in a timely manner. Responsibilities include treating each guest with excellent customer service, having a thorough knowledge of the menu, maintaining clean and attractive tables, and handling cash and payment transactions correctly and honestly. Servers make an average of $5/hour, but can make much more than that with tips. Line Cook- The line cook is a member of the team that creates the amazing food served at Joe’s. The line cook must prepare food according to recipes while strictly adhering to all food safety and sanitation guidelines. They should cook in as timely a manner as possible. Employees in this position must complete a four-day training course upon employment. Average salary is $11/hour. Manager- The manager is responsible for ensuring that all restaurant operations go smoothly and customers are extremely satisfied with their experience. Requirements include managing equipment repairs and maintenance, hiring new staff and evaluating existing staff members, determining demand for product and ordering food and beverages, and developing schedules and payroll. A college degree and 2 years of managerial experience is preferred. Average salary is $40,000-$48,000/year. Below are some questions you can expect in an interview for Joe’s Crab Shack. Tell me about a time you were a member of a team. Every employee in a restaurant environment plays an integral role in the customer’s overall experience. Consequently, it is important that you are capable of operating well with a group of people. This includes impeccable communication between hosts, servers, and cooks. Have a story ready to demonstrate your skill in working with others. How well do you operate in a stressful environment? Workers are responsible for bringing an exciting and unique experience to guests. This will include telling jokes, singing, and dancing on tables. You need to be able to do these things in an upbeat and energetic way despite the stresses of the job. Are you willing to work odd hours when needed? Treat this question honestly, because your manager will hold you to your answer. Working in food service will often require that you stay late, come early, or work nights and weekends. Make sure you’re prepared for that commitment. Tell me about your strengths/weaknesses. Again, be very honest here so that your interviewer can make sure the position is right for you. If you have cooking experience but aren’t that great with people, you don’t want to take a job as a host when a line cook position may become available soon. Make sure you are as prepared as possible for your Joe’s Crab Shack application and interview to ensure your success. Create a digital copy of your résumé to upload when you submit your application for Joe’s Crab Shack jobs online (see below to download application form). Make sure everything is legible and organized to demonstrate your writing skill. Although there is no printable application form, you should print out copies of your résumé to bring to the interview. You should also do this if you go into a restaurant for a direct application. If possible, though, apply online so the interviewer has a chance to review your information prior to meeting you. Clean yourself up well on the day of the interview. Especially if you’re applying for a server or host position, you will be in direct contact with guests, so this is a good chance to show that you dress well and have great hygiene. For a manager position, you should wear a suit. For other restaurant positions, business casual dress is sufficient. Greet the interviewer warmly and use good eye contact to demonstrate confidence. Joe’s is looking for the perfect blend of hard work and a laid-back attitude. Be professional, but try to inject humor when answering your questions. Ask about future career paths. This isn’t just about impressing the interviewer; it’s good to know what opportunities are available if you excel in a position at Joe’s. After you develop a great résumé and online application, prepare answers to potential questions, and dress yourself well, sit back and enjoy the interview. Joe’s is a fun place to work, and you should enter your interviewer’s office the same way you would start your first shift: happy and excited.